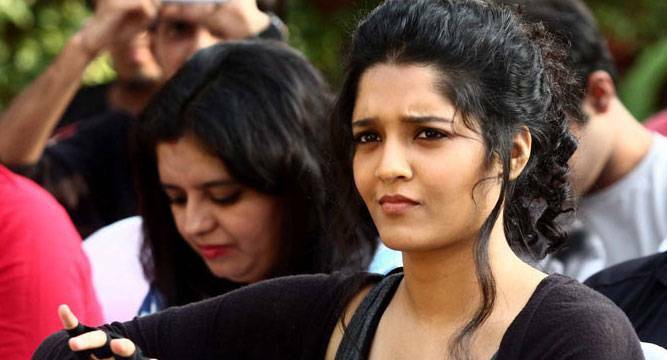 Ritika Singh is being praised for her performance in her debut film “Saala Khadoos” but the boxer-actress says she doesn’t expect to be flooded with movie offers. “I am enjoying the attention right now. It feels nice that people want to know about your work, your first film. I want to act in future too but I am a realist. I am prepared to get no work after this,” Ritika told PTI. Also starring R Madhavan in the lead role, the sports movie released this Friday. A professional boxer, Ritika says acting was never on her mind but the opportunity of working with Madhavan and filmmaker Rajkumar Hirani, who has produced the film, was too big to let go. Even though the film has hit screens, it still feels surreal to her that she has entered the industry and made friends with some influential people here. Having finally been bitten by the acting bug, Ritika wants to do characters of substance and focus on strong scripts. “I really want to act and act in great roles, which have scope of performance. I don’t want to do sing-and-dance routine. I believe script is the king so I would go for powerful stories,” she said. The actress wants to juggle between her acting and boxing, and use her fame to help boxing gain more attention in the country.